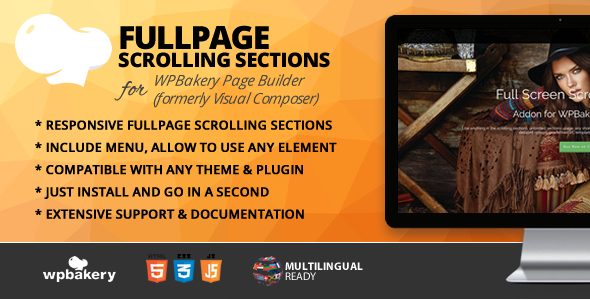 You can create responsive “Fullpage Scrolling Sections” with this Visual Composer WordPress Plugin in any page. You can create unlimited sections within a seconds. One lick predefined templates included with this addon. NOTE: default theme header and footer will not show when you use it on that page.